What is it about horror and being Latino? From a young age, I remember loving scary movies, yet finding myself hiding under the covers after dark, certain there was some lunatic hovering over my bed. And like really spicy hot sauce, I found myself going back for more, knowing that I’d regret it later. If you’re like me, this time of year always gets you excited for scary movies and haunted houses, so if you’re looking for something to satisfy your craving, here’s a list of some of the most bizarre, haunted and scary places in Latin America. This grainy clip shows what is believed to be the spirit of a former doctor. After killing himself, the doctor now roams the halls haunting anyone who happens to cross his path. This clip first appeared on La Otra Dimension’s Facebook page, a page devoted to the paranormal, and quickly racked up millions of views as ghost hunters and skeptics reviewed the footage. As of today, the footage hasn’t been proven a hoax, but people believe the image of the ghost might just be a reflection in the glass. Either way, the lesson here is: don’t hang out in creepy hospitals. Located just south of Mexico City, near Xochimico, the Island Of The Dolls is the result of one man, 50 years of work, and one dead girl. According to legend, the caretaker of the island, Don Julian Santana Barrera, found the corpse of a young girl floating in the water near the island. Next to her corpse was a doll, which Julian hung in a tree as a sign of respect. Fearing that the little girl was not satisfied with the offering, Julian devoted the rest of his life to hanging dolls from trees to keep the spirit happy. It has never been proven that the island is actually haunted, but tourists have claimed to see the dolls move and follow them with their dead eyes. In the end, Julian died in the same place he claims to have seen the little girl, and these days the island is a favorite of tourists and ghost hunters. Located in Lima, Peru, something evil occupies the second floor of the Matusita House. While the first floor was leased by a bank, the second floor was sealed off a long time ago. Only paranormal experts and psychics have been allowed to enter, several of which suffered extreme mental trauma or outright refused to talk about what they experienced. Rumors of what haunts the second floor involves tales of violent murder, insane priests, bewitchings, and hallucinogenic drug parties gone horribly wrong. Madness follows anyone who attempts to enter, they say. The reputation of the house is so notorious that it has been the subject of several movies and documentaries. The second floor was torn down earlier this year in favor of a new design that will presumably be open to the public. Hopefully it’ll will be more inviting than it once was. Built over 100 years ago, the Subte Línea A is one of Argentina’s most haunted subways. The site has witnessed murders, accidents, and multiple suicides over the years, adding to the subway’s already creeptastic atmosphere. People often report seeing passengers dressed in out-of-date clothing, holding pocket watches, disappearing before their very eyes. Between the stops Alberti and Pasco, there is a long abandoned station where two ghosts can be seen working. These two are believed to be the spirits of rail workers who were killed in a cave-in. Called the most haunted place in Costa Rica, the Duran Sanatorium is open to tourists willing to pay the thousand colones (or $2 USD) entry fee. The hospital originally opened as a place to treat tuberculosis, but as medicine advanced, the cases dropped, so the place was converted into an orphanage and eventually, a prison. These days, the building is abandoned — for the most part. Eyewitnesses have reported seeing a nun in all white roaming the halls, as well as a nurse staring down from the windows. Others report seeing a small child standing on the roof. She is believed to be the child of Dr. Carlos Duran, who died of tuberculosis. Take the tourists advice, don’t come out here at night. In 1974, a malfunctioning air-conditioner caught on fire and quickly turned the Joelma building into an inferno, as much of the furniture in the building was flammable. Of the 756 people in the building that day, 179 people died due to the fire, or worse. Firefighters did what they could, but their ladders only reached to the 15th floor, making it impossible to reach people higher up in the 25-story building. Many people jumped from the building to get away from the blaze. The building already had a reputation before the fire, as it was built on the property of a chemist who murdered his family in 1948, leading people to believe the property was cursed. In the aftermath of the fire, 13 unidentified people were found burned to death in the building’s elevator, they are now buried in a nearby cemetery, and remain unidentified. The Joelma is now said to be haunted by the spirits of these lost souls, as well as others lost in the fire that day. Built in 1923 by architect Carlos Arturo Tapias, the building that became a hotel and then a museum has a troubling past. Built near the Tequendama Waterfalls, the site has been a popular place for suicides. According to legend, the Muisca Indians would jump at the falls to flee Spanish conquerors, where they would then turn to eagles and fly to freedom. This tale has attracted the broken-hearted, who used to waterfall to flee their own heartbreak. The spirots of these jumpers are said to haunt the hallways of this once glorious building. 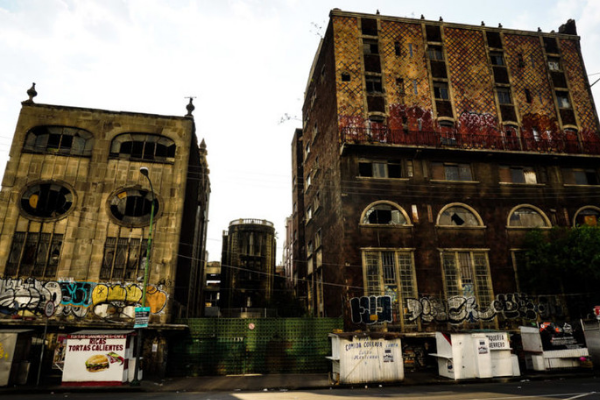 These days the building is used as a museum, but thanks to pollution, the water is now highly toxic, and the smell wafting from it can be smelled from miles away. Explorers call this place Actun Tunichil Muknal, or Cave of the Crystal Sepulchre, a cave discovered in 1989. Many locals refer to it as Xibalba, the Mayan underworld. A millennia ago, the Maya used this cave to sacrifice adults and children to ask for rain, and according to others, satisfy their gods’ appetite for blood. The remains of the victims lay mostly preserved, each one revealing how their lives ended: crushed vertebrae and caved in skulls. The most well-known skeleton discovered was “The Crystal Maiden,” so named because her bones have become calcified over the last 1,100 years, making them sparkle in the darkness. 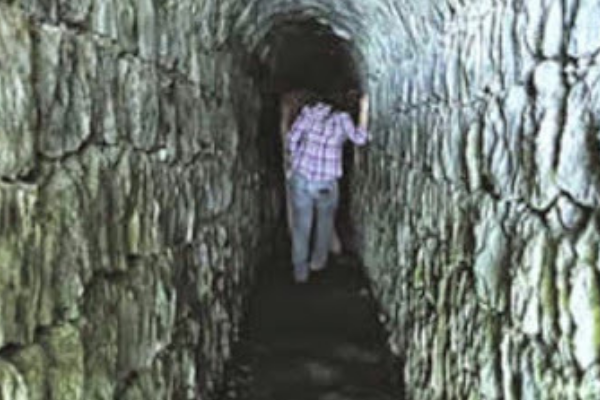 Claims that the caves were haunted by the Crystal Maiden were checked into on season three of “Ghost Hunters International,” though there was no confirmation of an actual haunting. Cemeteries are already all kinds of HELL NAH, but this one has several things going for it. Many of the graves are actually sticking out of the ground, meaning that the skeletons inside are visible to anyone who passes by. Some have argued that this is the result of grave robbers. Others counter that the people buried in La Noria cemetery were poor miners who had nothing of value on them, making it unlikely anyone would rob them. At night, according to legend, the ghosts of the miners rise and return to where they worked as slaves. However, the strangest thing at La Noria was discovered in 2003. Discovered in 2003, the Atacama skeleton immediately caught the attention of skeptics and conspiracy theorists alike. Some argued the 6 INCH skeleton was a hoax, while others claimed it was proof of alien existence. In case you’re wondering, they were both wrong. The skeleton is very much that of a human, which scientists believe suffered from extreme dwarfism. Scientists speculate that the child lived for 6 to 8 years before dying, citing that certain characteristics of the skeleton’s structure indicate as much. Even though the skeleton is definitely human, it’s diminutive stature has only added to the bizarre reputation of La Noria cemetery. Honorable Mention – This creepy AF doll. Here’s why you should never buy your kid a creepy doll. As the young girl tells the camera about the gift she got for her 15th birthday, it turns and looks at her as if to say, “You won’t see your 16th.” The pure terror in the girl’s reaction feels too authentic for this to be fake, though you should watch the clip on YouTube to judge for yourself. One of the many hell no places you can travel to is a small town called Pisco. Now, at first glance, it looks like a pretty picturesque little town, haunted by a dark legend. In 1913 after being seen biting the neck of a child and sucking its blood an, English woman named Sarah Ellen Roberts was executed after being branded a vampire, a witch and a murderer. After her death, her husband travelled from England to find a place that would allow him to bury her as the Church of England refused. The only place that allowed her burial, was Pisco in Peru. Her last words were a warning that she would rise again to take revenge in 80 years. 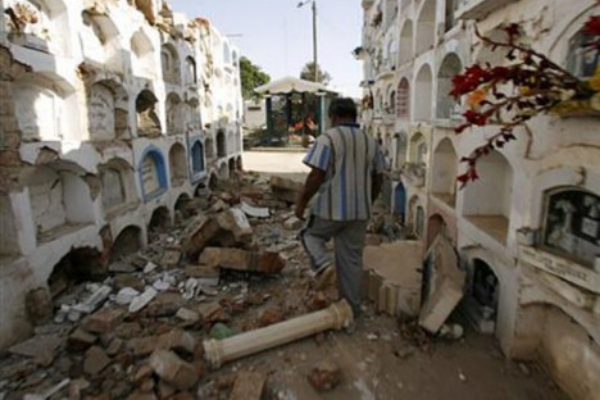 Not until 2007, after a large earthquake, she proved her return – when her tomb was the only one intact and untouched. La Casa Del Gringo Loco is an infamous place in Sangolqui. The former owner of the house was a Frenchman, but since his death, many years ago many people travel to this place to celebrate dark rituals and to contact dark spirits. The legend says that a group of people visited the house and to challenge the Gringo’s spirit. Some in the group wrote their names upside down on the walls. The following week, four of these people died in a car crash. To this day this haunted place is not open to the public. What used to be a luxurious hotel in Mexico City has become an abandoned place where no one would travel voluntarily. That is if you don’t want to see if the curse and ghost stories are true.La Posada Del Sol was a glamorous hotel, with a ballroom, Turkish baths and luxe decor but it was only opened for eight months before it met its dark and mysterious end. Some say that the owner was unable to pay off the debts and it leads him to hang himself in the courtyard of the hotel, that is after he cursed the place and murdered his own family. Locally it is believed that his ghost is still haunting the empty hotel to this day. Though it doesn’t end there, his spirit is not the only one. In the hotel’s basement is the altar surrounded by candy, left by people exploring the hotel’s gruesome past and paying respect to a little girl. The story goes that a little girls body was found in the basement. Nobody knows any details of her identity or cause of death and is a mystery to this day. Her ghost is also believed to be haunting the hotel. Travel to beautiful places and staying at charming hotels are a dream vacation for many. 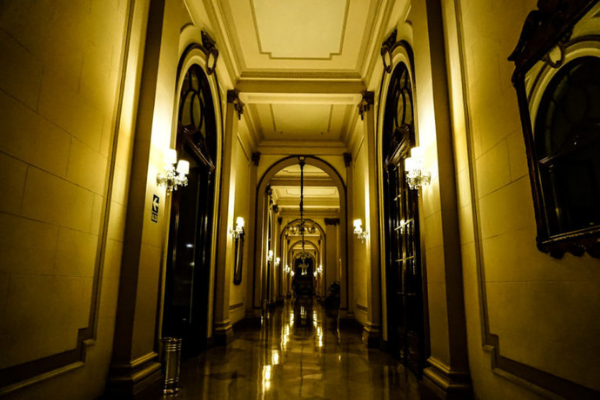 Perhaps, you’d be interested in the Gran Hotel Bolivar, one of the most haunted places in Lima. The impressive hotel is still jaw-dropping gorgeous for visitors, but many guests have met ’the Woman in White’ roaming around in the corridors until she disappears all of a sudden. Others have met another woman said to be a suicide victim that threw herself from one of the hotel’s windows. 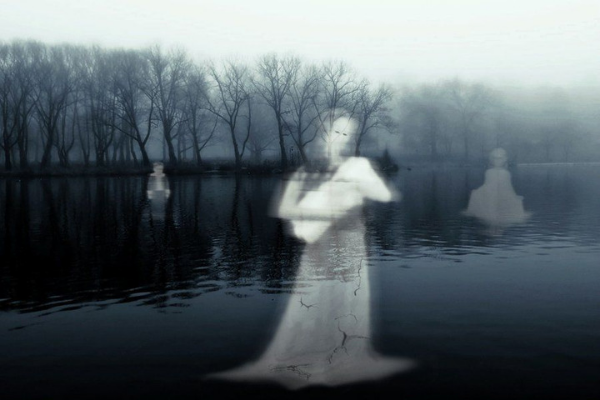 The most frequent ghost spotting is a ghostly bellboy and other former employees from the Gran Hotel Bolivar. Now, one would think the ghost spotting was enough. But the most mysterious thing about the Gran Bolivar Hotel is that the two top floors have been completely cut off to guests and staff, elevators don’t operate on these floors, and barricaded staircases. No reasoning has been given, speculations are that it is due to high paranormal activity. 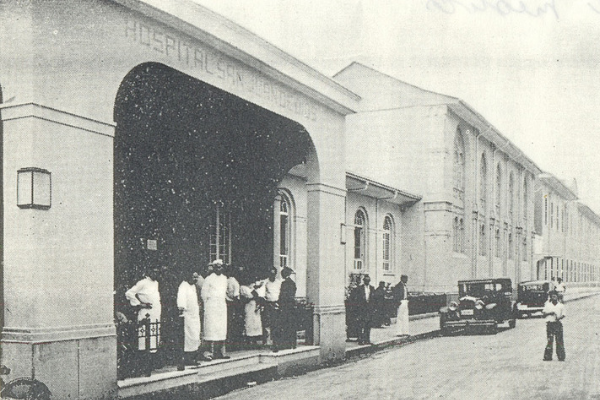 As the oldest hospital in Costa Rica, San Juan de Dios is bound to be a place of many ghost stories. The story of ”La Monja del Vaso” is over a century old. Well, this might not be the most haunted place on our list, we are willing to bet that if you travel here, you’ll get the creeps. The legend goes, there was an unmarried young woman, forced to be a nun and consoling the dying at the hospital. She denied a dying man a glass of water, and when he died, she was cursed to roam the hospital until she had paid her debt back. 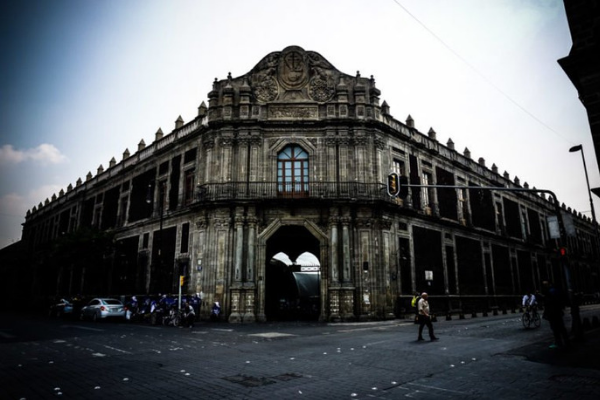 Nicknamed ’the Black Palace’ the place of Mexico’s National Archive has a dark history. 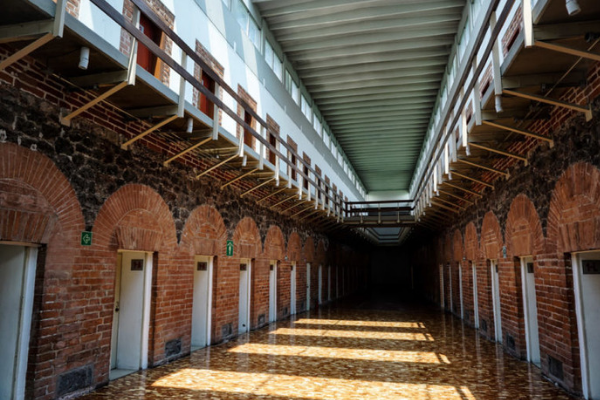 Travel here today, and you wouldn’t have a clue that the building has a history of corruption, murder and torture and was from 1900 to 1976 one of the most feared prisons in Mexico. Many jailed faced torture and risked murder every day. Rumour has it that the people that ended their lives within the prison walls may still haunt the building. Reports say that tortured cries and screams are being heard to this day. The most well-known ghost story is the one by a former inmate Don Jacinto who appears at night talking about Amelia. She was the love of his life that framed him for a murder he didn’t commit and he is stuck in the afterlife as well. If you’re travelling to El Salvador, you might want to stay away from this place. Canyon Sayulapa is said to be the origin of the legend of La Llorona. La Llorona was a woman who wanted to marry a rich rancher she was in love with. To convince him, she drowned and killed her two kids. Her soul can’t find rest ever since and you can hear the cries of her children when they were drowned. Few places are so terrible as what happened in 1979 when the Sandinista revolution in Granade lead to thousands of people were murdered and thrown into unmarked mass graves. 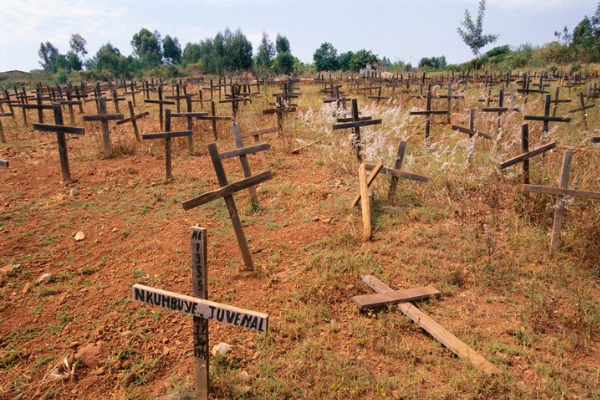 The mass-graves were also the killing ground for Somoza supporters, together with their families. So many souls taken at the same place, even children as young as 15 years old. Locals tell the story of an old woman that sits at a gravesite called ”Panama” and says ”take me to the cemetery.” The ones that don’t know who she is gives her a ride in their car. As the old lady is entering the cemetery, she fades away. 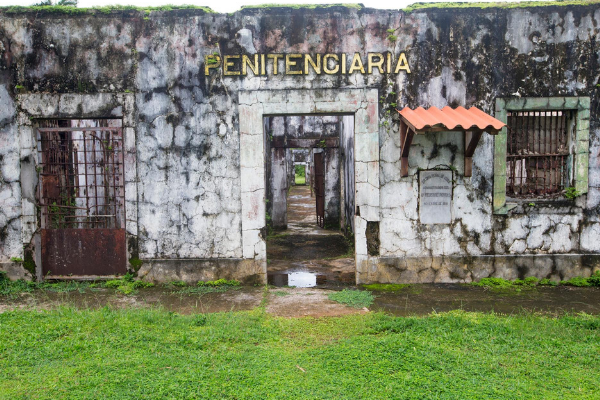 A place that leads the thoughts to torture, imprisonment, and death, Isla Coiba was Panama’s version of Devil’s Island. It was the home to the country’s most dangerous criminals, and people that were politically on the wrong side. The prison is far from the mainland, shark-filled waters, strong currents, and thick jungle. Under the dark dictatorship in Panama’s history, hundreds or thousands of people disappeared. They are believed to be buried either in unmarked graves near Coiba or fed to the sharks. Torture was a common thing, the detainees that escaped faced their faith: jungle animals, sharks or swept away by the current. Closed just in 2004, the few that has visited since say that they hear noises, screams, and footsteps – would you dare to travel here? 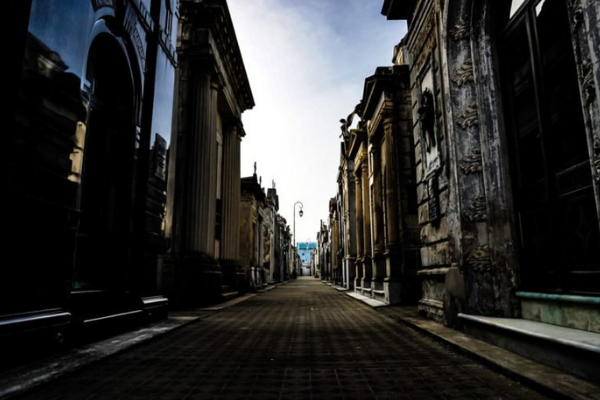 A huge cemetery with over 6,000 beautifully decorated tombs, La Recoleta Cemetery, is a place to see when you’re travelling to Buenos Aires. Walkways around big mausoleums, it’s a place for tourists to visit but also the where many scary legends and stories come from. One of the most famous, and disturbing, is the story of Rufina Cambaceras. In 1902 her parents found her dead by the age of 19. The parents grieved and transported her body to La Recoleta Cemetery where she would be interred, and she was placed in a coffin. After her burial was postponed the staff noticed that her coffin had been tampered with. Her parents were naturally upset and thought someone had tried to steal her jewellery, so they wanted to open up the coffin and see Rufina. When they opened, they saw her body covered in blood and bruises and scratch marks inside of the coffin – she had been in a coma and not dead and had been buried alive. Many believe she is haunting the cemetery, where she spent her final moment in panic. Travelling to the gorgeous Amazon River are on many peoples bucket list, though there is more to this place than just exotic birds and beautiful nature. 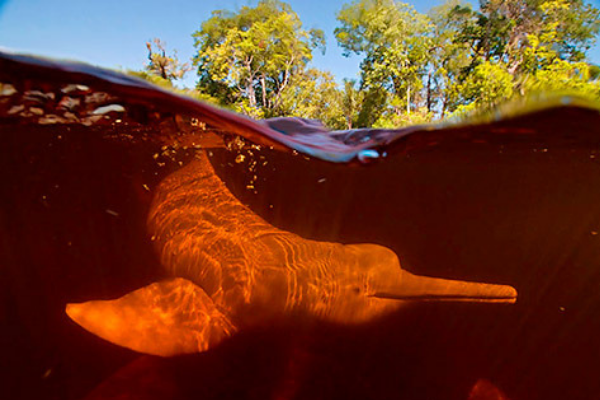 The mythical Brazilian monster ”Encantado” lives here too according to the myth, and it’s not a being you want to meet. These monsters are believed to live deep in the waters and come up when there are local festivities. They turn in to a perfect human and is irresistible for its human prey. The human is an easy target for the Encantado to kidnap and is never seen again. Las Ruinas De La Parroquia is the ruins of an old church converted to a public garden area. Daytime this is a beautiful place with a great atmosphere. At night, it dramatically changes, and you want to travel somewhere far, far away. 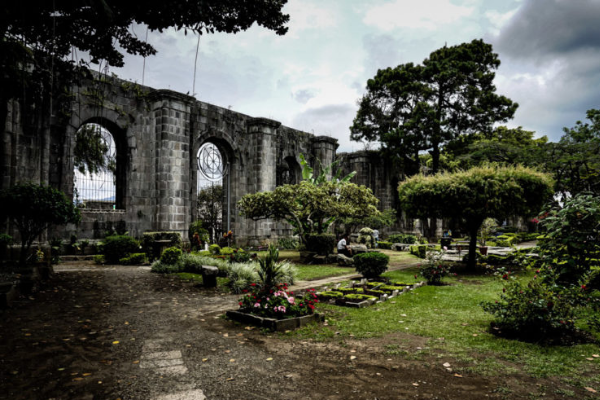 Las Ruinas De La Parroquia is considered to be cursed, and one of the most haunted places in Costa Rica filled with mysterious legends raging from failed construction, natural disasters and murder. Legend says that a local priest was murdered by his brother, after having a love affair with his brother’s wife. His brother was the influential mayor of the city and buried the priest’s body under the church’s ground. Ever since then, the ghost of a headless priest was seen and thought that he had cursed the ground he was murdered upon – and therefore the church could never be completed. If you travel four hours north of Mexico City, you’ll come to a place called Guanajuato. The sweet small town is not what first meets the eye as they have one of the most disturbing museums in the entire world. 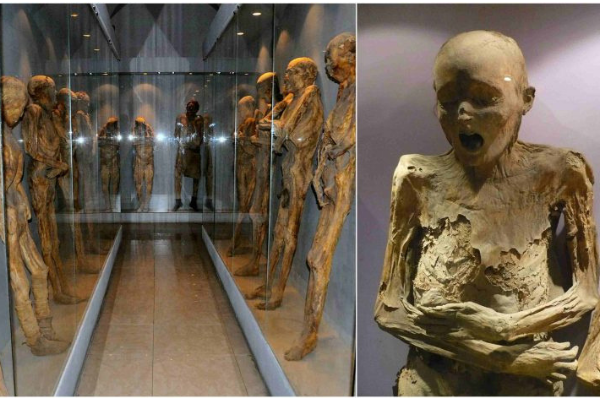 The Museo De Las Momias, with over 100 corpses of women, men and even infants. The bodies are seriously haunting, caught between death and decomposition. In 1833 there was a Cholera outbreak that killed many people, the cemeteries were full, and many couldn’t afford to bury their loved ones there and instead had to pick a common grace outside of the town. This museum is naturally very creepy, but security has reports of footsteps, voices, babies crying, whispers long after the last visitor has left for the day. Do you dare going there? If we travel 200 years back in time, the Spanish Inquisition did some horrible things in order to defend and protect the Catholic Church, such as witchcraft, in the Palace of Inquisition. The first building in the palace was a secret prison called ”the House of Dungeons,” where torture was used, not as a punishment but as a necessity to obtain a confession. Once this was obtained, the victims were sentenced to death. Out of all the 800 trials that took place in the Palacio de la Inquisition, no-one was found innocent. Today Mexico is free from Span and the palace is a museum, where the tools, relics and machines used to get confession are on display, they still have the guillotine on the courtyard. Are there any haunted places you feel should be on this list? mitú wants to know! Leave a comment below. Pablo Azar understands the highs of acting in telenovelas. The 34-year-old from Mexico has appeared in Reina de Corazones and Bella Calamidade, and he has amassed a large number of fans. But when he’s not on camera, Azar earns his money like other up-and-coming actors. He drives for Uber to make ends meet. “At first, I was ashamed of this,” Azar told the New York Times, “Our fans from Latin America who watch novelas, they think we are millionaires and that we drive Ferraris and live in Beverly Hills.” Azar’s story is not unique either. When they are between jobs, those who act for Telemundo are often out scrambling to pay rent. Most actors who work for Telemundo, the Miami-based Spanish-language network owned by NBCUniversal, do not fall under the protection of SAG-Aftra, the television industry’s union. Because the shows are in Spanish, Telemundo has been able to argue that their programming does not meet the union’s requirements. So far this loophole has worked to Telemundo’s benefit, keeping the network exempt from the costs of employee-related health insurance, potential residuals, or to cover any accident on set, which is not an uncommon experience. The company and the unions are currently in talks, but what happens next remains to be seen. For more coverage out the entire story at the New York Times. [H/T] NYT: He Stars in a Spanish-Language Soap. Why Is He Driving for Uber?